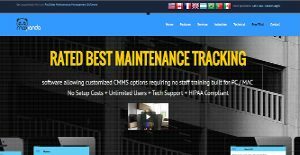 Maxpanda is a customized Computerized Maintenance Management System that empowers efficient management of work requests. It makes it easy to plan and schedule regular maintenance tasks, and helps analyze data and important trends. Users can also apply it to manage their spare-parts inventory, or perform a variety of technical tasks, including auto reordering of parts according to requirements. Maxpanda’s cloud based Maintenance Management system is one of the most robust and reliable solutions currently available on the market, and one that doesn’t require staff training. The company claims to have developed the easiest and most user friendly CMMS, which also features apps for both iOS and Android with every subscription for maximum convenience and mobility for users. The app called GoMAX can be used to access information by even contractors and vendors and features a QR scanner to conveniently scan assets etc. Maxpanda aims to eliminate errors and delays caused by conventional methods through its customized CMMS. It works particularly well for companies scattered around the globe or even multiple buildings or units. Unlimited users can use the Work Order Management Software account, including vendors, tenants, editors, and maintenance staff. Each subscription also comes with personal 24/7 technical support agent, easily accessible through the CMMS dashboard. One of the most important features include support for a variety of languages so you don’t have difficulty in managing you operations from virtually anywhere. Supported languages include English (US, UK and Canada), French, Spanish and Portuguese (Portugal and Brazil). The software allows centralizing and managing the entire maintenance workflow, and will allegedly improve the ROI rates by 500%. Automated notifications to vendors can also be sent using the customized outbound email notification system. Real-time collaboration means everyone is one the same page, which is further enhanced by the availability of Android and iOS apps. The community portal works well if you want to share your PMs to all your sites, which could potentially save you a lot of time and effort. The software also integrates the purchase orders within the entire company account, making this time consuming process much easier. The maintenance staff can also set automatic schedules for recurring activities, allowing the preventive maintenance procedures to auto generate based on deadlines. Task scheduling also includes preventive inspections and repairs. Since each company has particular business wants, it is prudent for them to refrain from looking for a one-size-fits-all perfect software system. Needless to say, it would be futile to try to find such an app even among popular software applications. The clever thing to do would be to jot down the various essential aspects that require consideration such as key features, finances, skill levels of workers, company size etc. Then, you should do your groundwork thoroughly. Read some Maxpanda reviews and look into each of the other systems in your shortlist in detail. Such exhaustive groundwork can ensure you weed out ill-fitting platforms and select the system that provides all the aspects you need for business success. How Much Does Maxpanda Cost? We realize that when you make a decision to buy Project Management Software it’s important not only to see how experts evaluate it in their reviews, but also to find out if the real people and companies that buy it are actually satisfied with the product. That’s why we’ve created our behavior-based Customer Satisfaction Algorithm™ that gathers customer reviews, comments and Maxpanda reviews across a wide range of social media sites. The data is then presented in an easy to digest form showing how many people had positive and negative experience with Maxpanda. With that information at hand you should be equipped to make an informed buying decision that you won’t regret. What are Maxpanda pricing details? What integrations are available for Maxpanda? If you need more information about Maxpanda or you simply have a question let us know what you need and we’ll forward your request directly to the vendor.